This novel is told through a series of fragments of reported speech and historical records, either true or imagined. 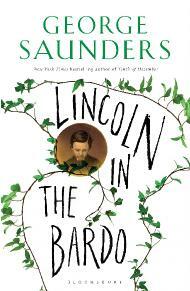 Saunders has taken a small detail from history, the report that after the death of his young son Willie from typhoid fever Abraham Lincoln went back to the cemetary after the funeral to be with the body of his child, and spun a story that explores what the afterlife might consist of, and the things that might bind people to their former lives once they die. The style in which the novel is told seems at first almost peversely unsettling and confusing. Those who like to pay attention to detail found the attributions of the quotations held them up – were they supposed to be remembered? Was there any significant pattern to discern? For others the characters and unfolding events drew them on and they didn't mind the attributions. Were the historical records real, or made up? It feels like they could be either, and we thought it was brilliant the way that Saunders had pulled them together to tell, for example, the episode of the Lincolns' ball the night that Willie died and to give a sense of all the different, sometimes conflicting historical accounts of that event. If we cannot know the truth even from historical records and eyewitness accounts, Saunders seems to be saying, then might not his characters from beyond the grave have just as important a story to tell. As a novel it felt radically experimental but we had patience for it because it was compassionate and moving. It was often funny, sometimes heartbreaking. However it has to be said that some of us found the character of Hans Vollman and his enormous member somewhat offputting. It was funny, but also felt a little crude. We listened to the audiobook and all agreed this works brilliantly, it was easier to recognise the historical records from the voices of the ghosts. A lot of writing about death is from the point of view of those left behind. We enjoyed the way this explored the idea from a radically different perspective. Highly recommended, this is an exceptionally interesting and engaging work by one of America's most interesting contemporary writers. It made a brilliant book club book because there was so much to discuss, from the writing style to the ideas it explores. to be about Lincoln in particular, and somehow the fact that the President was the central character didn't work for me. It's confusing, creative and crazy. At points I felt challenged and lost in equal measure. I enjoyed the relationship between subjectivity and objectivity. The question of what I personally would feel unfinished were I to die is something I will take with me and incorporate into my thinking after reading this. I thought that it conjured up loss very evocatively and movingly and I thought the writing in parts was extraordinary. But it felt like a series of vignettes that for me were definitely on the same clothesline but didn't make a whole piece of fabric. Perhaps I would have got on with this better in audio form. Not quite perfect but I enjoyed this immensely. I think it's more of a radio play or an actual play than a novel. As soon as you start to recognise the characters you relax and follow them through the story. I loved the interweaving of the historical narrative and the fantasy. Moving, wise and memorable. I thought this was amazing, for something so experimental in its form and content to conjur up this world so movingly. Saunders seems to have this uncanny grasp on human psychology and truth and creation. He successfully combines creative experimentation with such a profound understanding of human psychology interlaced with compassion. I was quite awed. 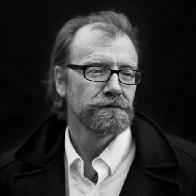 I had very high expectations of George Saunders, and this absolutely did not disappoint. A profound meditation on death and loss, and on the subjectivity of history, but written in such a playful, joyful way. 'Creative writing' is a clichéd phrase, but this felt like just that, writing that was profoundly creative and original. I've never read anything like it, it stole into my heart and I loved it. July 2017 had us bound for Liz's house in Oxford. Some made it, some didn't – successful travellers were rewarded with a feast of smoked salmon and trifle (the unsuccessful went off to enjoy fine lunches of their own).